Every dollar collected and every dollar spent by the National Executive and Kitshop are accounted for and visible to all members at all times. The money collected is kept on an account sheet on a yearly basis amd is kept on a spreadsheet with the totals shown for all transactions. This ensures that members can see where the money, collected from them in dues, is spent, it also includes the amount spent for patches, and various other items as needed. This allows members to see where the funds have been used and how much is in the CVFR account allowing them to make informed decisions about continuing to support the club and how to vote when dues are reviewed annually. The spending authority of the National Executive is also explicitely spelled out in the Constitution. The CVFR was founded on the principle of democracy and values the participation of the members. The Constitution spells out how voting can be conducted, what level of support is required to pass particular measures, and how proposed changes to the Constitution are handled. The Constitution also spells out the procedure for electing the National President as well as outlining a recall mechanism if his/her performance is not meeting the expectations of the club members at large. The annual dues for the CVFR is modest and is in line with the value provided by the National Executive, and is used for such things as website hosting. If additional programs are required at a National level, they must be voted on and costed by the members at large. This is only a partial list, the CVFR will always support other clubs when possible in auopport of events. Its on our patch : "We Will Remember Them." 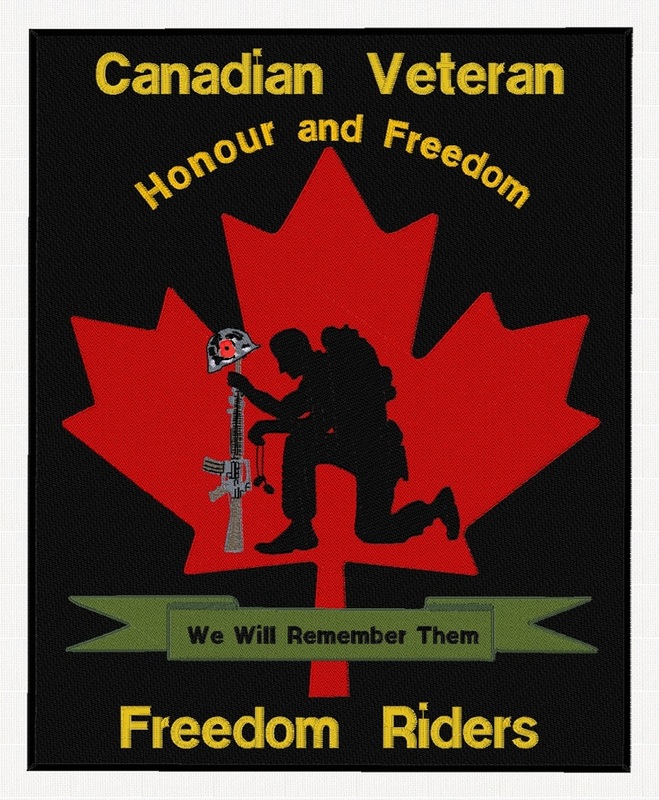 Every time you ride, you will be showing the world that you are committed to remembering and paying tribute to the sacrifice of the members of our Armed Forces, both past and present. Clearly displayed on our patch, the word "honour". We honour Veterans, we honour the sacrifice of fallen soldiers, we honour each other and we respect other clubs and organizations. We are proud that our members respect and value the meaning of honour on a daily basis. We are not afraid to stand up on behalf of others who cannot stand up for themselves and we are not afraid of the hardship that it may cause us for doing so. Also clearly displayed, the word "freedom", freedom is what we offer to everybody we meet. It is hard because everybody is free to do what we might choose not to and we are respectful of that. We make sure that our members understand that freedom applies to how they dress, how they act, what they ride, how often they ride, and whom they have as friends and associates. Our members are free to express themselves and act within the bounds of the Constitution and are bound to respect the freedom of others to the same degree. If you think you are ready to be a member of the CVFR then you are welcome to fill out an application and join your local unit, if no unit is in your area, you can actually start your own as long as you have two people.